What you need to know about the term "no kill"
No-kill can be a misleading term. 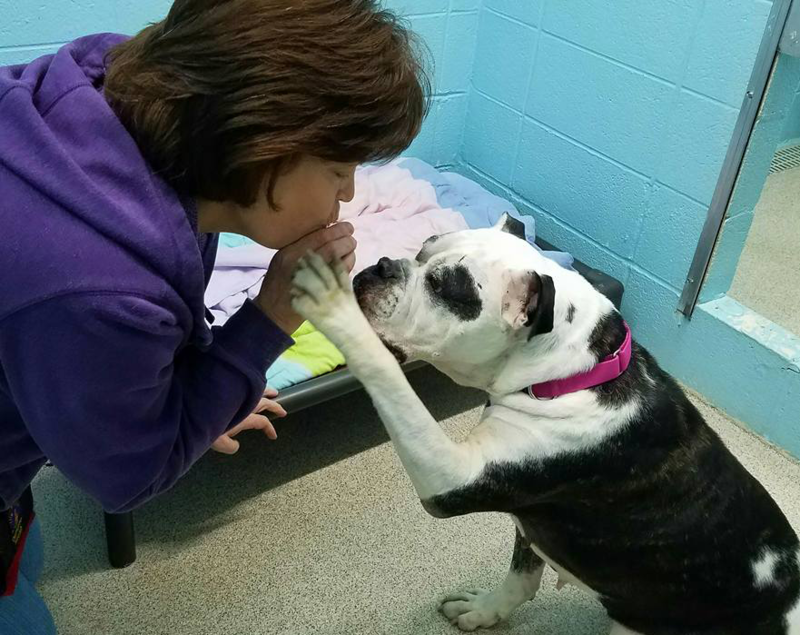 DuPage County Animal Services (DCAS) is the only open admission shelter in DuPage County – and the only immediate open admission shelter in the area. What that means is DCAS does not refuse any domesticated animal that is brought through its doors, at any time. Because of this, DCAS receives many of the animals that other no-kill shelters and limited-admission shelters turn away. In fact, DCAS is seeing a growing number of animals coming from collar counties. What this also means is that DCAS intakes many ill and aggressive animals – animals that either cannot be successfully treated and/or safely placed up for adoption. It is because of this that DCAS will never be euthanasia-free. What is not widely understood is that many 'no-kill' shelters also euthanize for the same reasons – as is the responsible thing to do. In fact, the widely-accepted standard is that to qualify as 'no-kill,' shelters must have a live release rate (the ratio of animals with positive outcomes/total intake) of 90%. DCAS’s current live-release rate is at 74%% - higher than many traditional Animal Controls out there. ​Instead of focusing on labels which can be misleading, DCAS is working hard each and every day to increase the live-release rate and find as many positive outcomes as possible for the animals in their care. The shelter staff, along with the foundation, is still working to make sure that no healthy, adoptable animal is euthanized due to a lack of shelter space. We have begun to rehabilitate minor aggression and behavior issues so that animals that wouldn’t have had a chance in the past, can now make it up for adoption. In order to keep moving forward, it is going to take the public’s help: with adopting and helping to promote those animals that are harder to place (e.g., seniors, adult cats, bully breeds, Chihuahuas, FIV+ animals); fostering animals to create space and rehabilitate minor behavior issues; and funding important space improvements and programs that enhance our shelter animals’ quality of life.